In this new series I will talk about makeup and skincare products that have a cult following. Of course you will have to keep in my mind that not all products work for all people. Especially in terms of skincare, it comes down to what works for your individual skin (type). However, I want to share with you some of the products I added, to either my personal or professional kit, and that I’ve had good results with. The first product is going to be Mr. Shu Uemura’s legendary eyelash curler that retails for $20. To be honest, in the past I have always been a bit hesitant to spend that much money on something like an eyelash curler. Obviously things have changed in the couple past years – meaning I spend way too much money on makeup and skincare. All the time. We have a serious addiction problem here. Anyways, I still allow my practical side to intervene now and then. I will only spend a lot of money if it is worth it. And let me tell you this is definitely worth the money. It may look like the average curler, not being very pretty like, let’s say, a gold or even rose gold eyelash curler. But, behold, this ordinary looking eyelash curler deserves its place in every famous makeup artist’s kit out there! 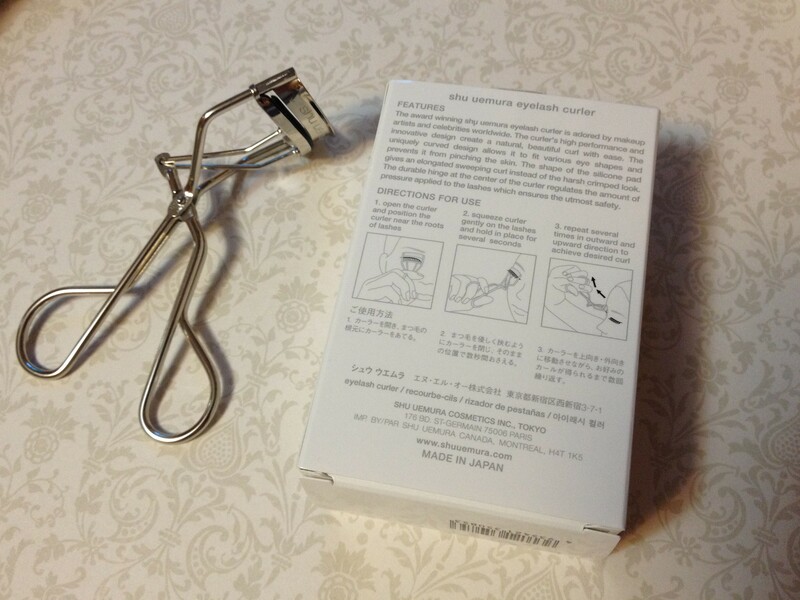 It is by far the best performing eyelash curler I’ve used so far. Giving a nice, rounded curl instead of that crimped look a lot of other eyelash curlers give. The shape is perfect for flatter eyes like Asian eyes or hooded eyes, and it does not pinch the delicate skin on your eyelids. I am even able to use it without a mirror – yes, it works that well getting down to the roots to lift the eyelashes and all that without any pinching or tugging. The only downside is you will have to purchase another eyelash curler in about 6 months. It usually comes in a box with two silicone pads, each of them lasting you 3 months (unfortunately they don’t sell refill pads). I’ve just had the Shu Uemura eyelash curler for about a month but I think it’s absolutely worth the price. A must-have for my personal makeup bag and also for the one I’m using on clients. It just makes it a lot easier and safer, especially when you’re curling somebody else’s eyelashes. For people with very big or round eyes I use a different eyelash curler, though it depends from person to person really. Absolutely recommended especially for people with small, hooded/mature or Asian eyes. ← “Lit from within” vs. “glow” – Laura Geller’s French Vanilla Baked Highlighter. Review and swatches.